Dave co-founded the practice in July 2007. He started in the industry in 1986 working for several large to medium sized practices before deciding to enter into practice himself. Dave is a licensed Insolvency Practitioner dealing with all aspects of insolvency with a special interest in advising owner managed business. 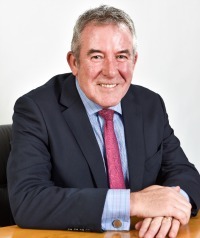 Dave has now had the opportunity to put his own ideas into practice with the goal of making Clark Business Recovery the first port of call for accountants, lawyers and other advisers to businesses when it comes to providing insolvency advice to their clients. In his spare time Dave enjoys travelling, sport and music. Dave has had a season ticket for Leeds United since 1984 and can just about remember the last time they were any good ! 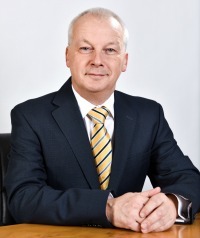 Paul has specialised in both personal and corporate recovery since 1976 and has worked in various small and medium sized insolvency firms until joining the firm in 2011. Paul has always aimed to give straight forward honest and helpful advice to business owners and individuals in order to provide the best outcome to all stakeholders. Dominic joined the firm in March 2014. 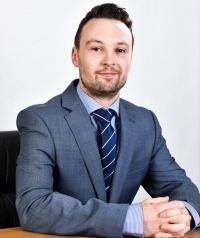 After originally being trained in accounts department of a firm of chartered accountants in Bradford, gaining his AAT qualification in 2005, Dominic was asked to join their insolvency department. Following a couple of years working in personal insolvency Dominic moved firms to an insolvency practice in Leeds to gain more corporate experience. Dominic has worked as a senior administrator for a number of years dealing with all forms of corporate and personal insolvency. Dominic is currently studying for the Joint Insolvency Examination Board exams. In his spare time Dominic watches Bradford City terrorise their opponents in the lower tiers of English football, as well as spending time with his family. Phil has worked for the company since inception having worked part time whilst at University before taking up a full time post as a trainee administrator. He also gained experience working part time for a medium sized insolvency practice in Leeds whilst completing his A level studies and whilst at university. Phil graduated from Leeds Trinity with a degree in Business with Sport & Leisure. 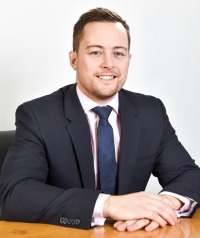 Philip passed the Joint Insolvency Examination Board exams in 2014 having previously passed the Certificate of Proficiency in Insolvency Exams in 2012. Philip likes to keep fit and enjoys playing football. In his spare time he also likes to go away on Skiing holidays and tries to enjoy watching Leeds United (on the rare occasions when they win). On completing her Law Degree Natalie became a full time member of staff and began studying for her CPI exam. 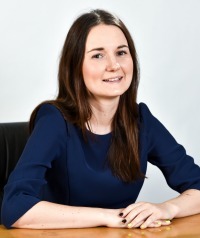 She successfully passed the exam in 2015 and now works on expanding her experience in both corporate and personal insolvency cases with the support of her colleagues. Wendy is the first point of contact for all visitors and callers. 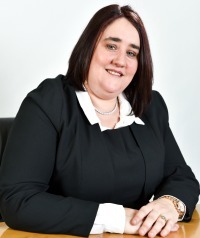 After gaining 15 years’ experience in a similar role with a medium sized insolvency practice, Wendy joined the company in May 2009 as office Manager. As well as managing the office, cashiering, organising marketing events, organising staff, helping with case work, and attempting to organise the boss, Wendy enjoys solving all types of problems to ensure that the office runs smoothly whilst not forgetting to be “Mum” to the office. Archie joined the firm in August 2017 as an Apprentice, having spent his previous 2 years studying A levels in Business, PE and Law. Archie is currently studying for his AAT examinations. 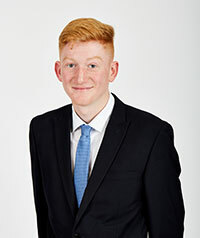 Outside of work Archie has a keen interest in sport and plays cricket for Pudsey St Lawrence in the Bradford Premier League and has represented Yorkshire CCC in junior age groups.